Anita's Experience With Neurogenx-Treating Peripheral Neuropathy Neurogenx is a new revolutionary option to both treat and improve peripheral neuropathy. Many of our patients have found a lot of success through this program. Here is Anita's experience. The nervous system is a very complex arrangement of nerve fibers into what we recognize as nerves. In that nervous system, we have the central nervous system made up of the brain and spinal column and the peripheral nerves consisting of the nerves extending from the spinal column. In these peripheral nerves, the individual nerve fibers are organized into groups (called fascicles). Each fascicle is surrounded by connective tissue (called the perineurium). 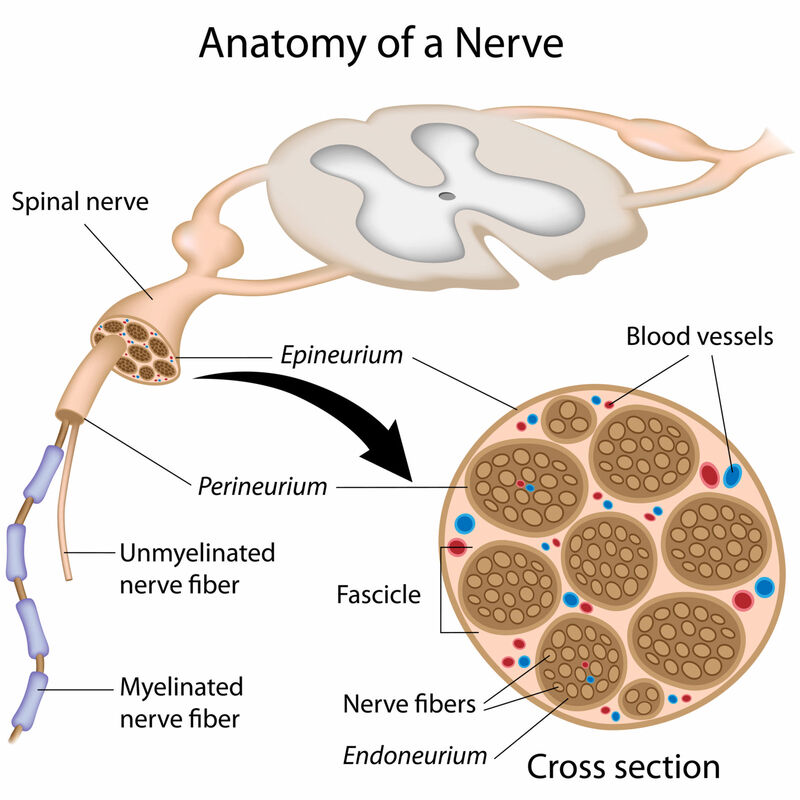 Larger nerve fibers include a myelin sheath or endoneurium that allows more rapid transport of signals. In smaller nerve fibers, the myelin sheath is not required. In either case, multiple fascicles can then be grouped together with a blood supply and fatty tissue into an epineurium.